In a moment reminiscent of Orson Welles’ 1938 broadcast of War of the Worlds, local television stations – as well as law enforcement agencies – reportedly received a number of telephone calls from witnesses worried about what they were see in the sky. However, the reality was that the weird lights in the sky were part of tech giant SpaceX’s ‘Vandenberg launch’. One news report said that at least 130 people in just a single area of Los Angeles County called 911 on Friday evening. They were informed that the lights were a rocket launch from Vandenberg Air Force Base in central California. 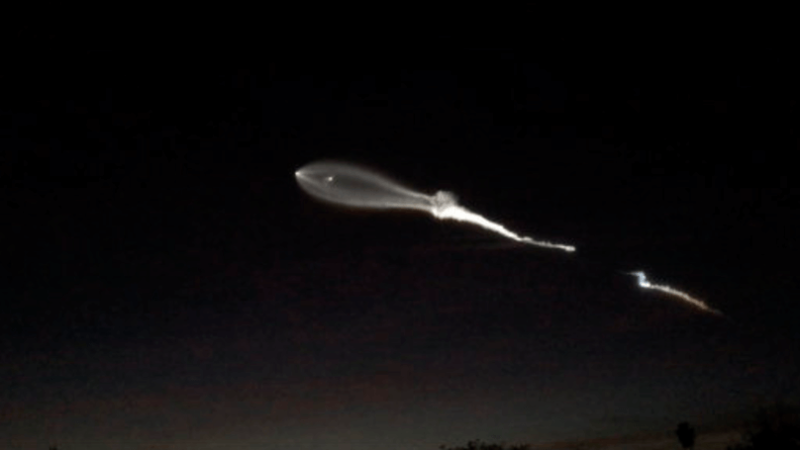 Elon Musk, the CEO of SpaceX, joked on Twitter that the object in the sky was a ‘nuclear alien UFO from North Korea’. If you liked tonight’s launch, you will really like Falcon Heavy next month: 3 rocket cores & 3X thrust. 2 cores return to base doing synchronized aerobatics. 3rd lands on droneship. A number of celebrities joined fellow social media users in questioning what the mysterious light was. Musk’s company successfully propelled 10 satellites into orbit as the Falcon 9 rocket was launched for communications firm Iridium.